done and on its way to you. 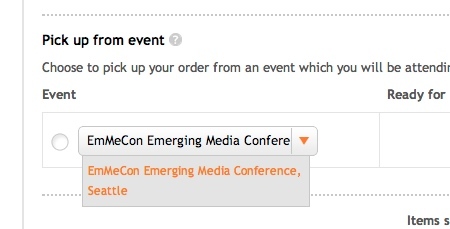 I was tickled to see that sometime in the last few years they’ve added in-person conference delivery, an option that makes total sense given their target markets (individual practitioners, sole proprietors and small businesses), and yet one that I’ve never seen anywhere else. Color me impressed and inspired, and briefly tempted to go to that conference just to experience it firsthand.